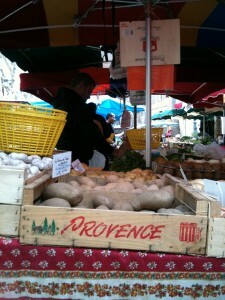 Bienvenue and Welcome in Provence! Based in Avignon, we feel particularly attached to the area and want you to have the best experience while visiting this beautiful part of France. We are happy to help you to prepare your trip, to supply you with material and advice once arrived here and to put you in contact with our local specialists for wine tastings. exclusive gastronomique dinners, cultural visits and walking tours, bike excursions and hikes, olive oil visits, painting courses, cooking classes and more. Please contact us for any inquieries you have about the region. In Provence from Sept 11-14. Party of four (4) staying at Mas du Petit Grava near Arles. Interested in Luberon villages, aqueducts & Roman ruins, Chateauneuf-du-Pape, the making of Olive Oil, and Lavender farms. Open for other ideas too. We are a family of 9 persons. We would like a full day tour of Chateauneuf du Pape and the Orange Roman sights. Can you arrange a tour for us? We are in Provence 29 June to 2 July. We are staying in St.Remy du Provence.